Former minister and senior Shiromani Akali Dal (SAD) leader Bikram Singh Majithia today condemned the Congress party for trying to muzzle the voice of the opposition by imposing emergency like situation reminiscent of the rule of former PM Indira Gandhi.Addressing a press conference in the Vidhan Sabha gallery, Mr Majithia said Congressmen disrupted his speech on the Governor’s Address more than 20 times to stop him from raising the pending issues of the State as well as promises made to farmers, farm labourers and youth.Mr Majithia said Congressmen got agitated and started disrupting his speech after he raised the issue of complete surrender on pending issues of Punjab including inclusion of Chandigarh and Punjabi speaking areas into the State as well as justice for the victims of 1984 which were missing in the Governor’s Address. The Akali leader said Congressmen got further frustrated when he raised the issue of complete Rs 90,000 crore farm loan waiver promised by Capt Amarinder Singh to farmers and farm labourers through written affidavits. He said he asked Congressmen why they were bragging about a Rs 329 crore crop loan waiver when the chief minister had promised a comprehensive Rs 90,000 crore waiver of all nationalised and cooperative loans as well as private money lenders. 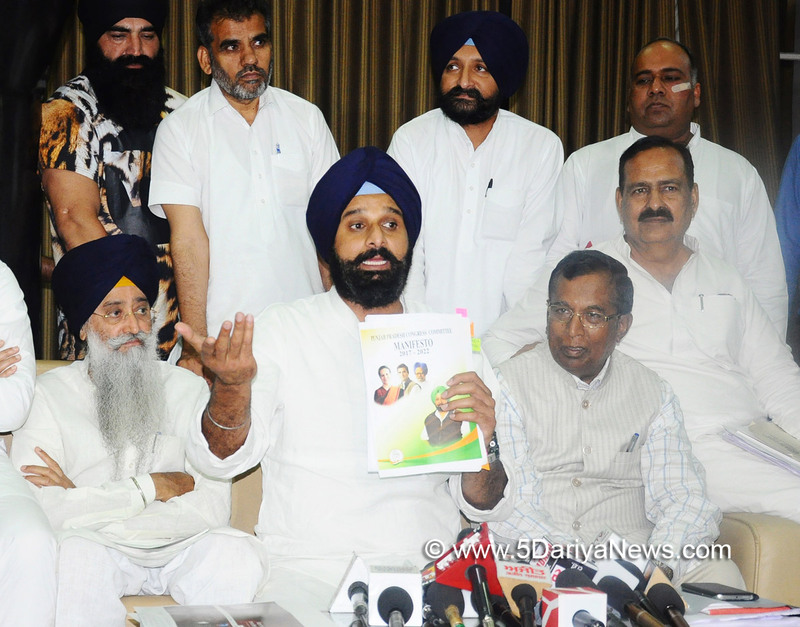 He said the situation after the Congress formed the government was such that even the face of the loan waiver scheme - Budh Singh, who has been photographed with Capt Amarinder in Congress advertisements, had not received any waiver. “Even the promise of end of Kurki is false as the CM has admitted on the the floor of the house that no kurki has taken place since 1986. “However this is set to become a reality with the government stating in the high court that it was not averse to this”.Mr Majithia said this was not all. Congressmen were even immune to the suffering of the families of 400 farmers who had committed suicide. He said these families had neither received the promised Rs ten lakh compensation nor the promised government job.The Akali leader said he had also asked the Congress government to explain why it was not implementing its promises to farmers and farm labourers even though it had collected Rs 900 crore tax from them in the form of increase in market fee and rural development fund. Asking where this money had gone, he said farmers had been given only Rs 329 crore in the form of loan waiver.Mr Majithia also condemned the government for going back on its promise to provide one job to each household. He also asserted that the SAD would support the cause of contractual teachers as well as Anganwadi workers who were being brutally suppressed by the government.